A-1 Foundation Crack Repair, Inc. Comment: Barn floor is sinking barn is maybe 100 years old 10 years ago have a company called ramrack put 4 supports on back or barn. Barn doesnât, seem to be sinking only the floor. 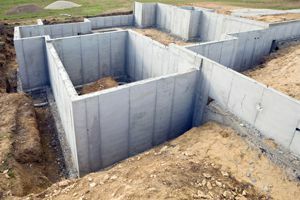 Comment: Looking to put in a foundation for a new two story modular home with a two car garage. Lot is level and cleared of trees. I have plans and need to get an estimate. Comment: We would like to add two or three lally columns in our basement. The permit has been pulled, we just need to get the concrete footing poured and columns installed so we can close out the permit. Comment: We moved our bulkhead in our concrete foundation. The seams where the old bulkhead was show moisture. We are concerned that the foundation was not properly sealed on the outside. K & H Enterprises of Wakefield, Inc.
Danvers Foundation Contractors are rated 4.43 out of 5 based on 621 reviews of 14 pros. Not Looking for Foundations Contractors in Danvers, MA?